The term “market anarchism” may give some people the mistaken impression that market anarchists envision a society organized primarily around the cash nexus. In part this is because one definition of the term “market” itself equates to the market as an institution: The sphere of exchange. 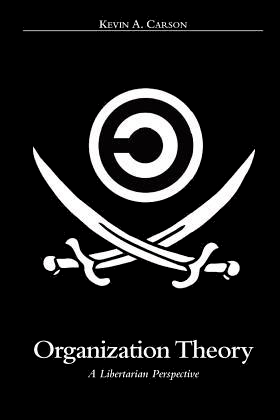 It may also reflect the fact that many anarcho-capitalists, who until recently got most of the attention, tend to emphasize business firms operating in the cash nexus as the primary form of social organization. 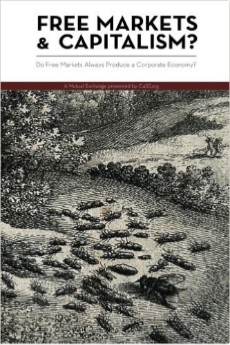 We market anarchists get our name from the fact that, unlike libertarian communists, syndicalists and other explicitly non-market anarchists, we see voluntary market exchange as one perfectly valid way of organizing economic life. But that doesn’t mean that the cash nexus will be the predominant form of organization in a stateless society. Indeed, as David Graeber has shown in Debt, the cash nexus becomes the dominant way of organizing economic life only in societies based on military conquest and slavery. As anarchists we envision as society in which all functions are organized, in Kropotkin’s words, by “free agreements concluded between the various groups, territorial and professional, freely constituted for the sake of production and consumption, as also for the satisfaction of the infinite variety of needs and aspirations of a civilized being.” This includes markets. It also includes social and gift economies, peer production and horizontal networks of all kinds. 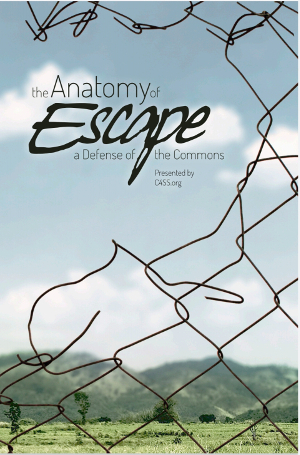 The commons may be the most efficient way of organizing some economic functions. This is probably true of non-renewable resources like minerals, and the kinds of renewable common pool resources like forest, pasture and fisheries that Elinor Ostrom devoted her career to studying. It is certainly true of information, which is infinitely replicable at zero marginal cost. Markets are best suited to the sphere of production and distribution involving goods which are replicable, but only at a cost in effort. But even within this sphere of goods produced by human labor which are in elastic supply, goods and services which are most suited to small-scale production might very well be organized outside the cash nexus, through various primary social organizations: Lodges and friendly societies, extended family or multi-family compounds and cohousing projects, neighborhood associations, intentional communities, and other social units for pooling income, costs and risks. Money pricing is most likely to be the preferable option in cases involving production inputs (for example micro-processors) which require expensive production facilities and large market areas, and other goods that are distributed over long distances or involve comparative anonymity (like forms of production that require more expensive machinery and a distribution network covering an entire town). 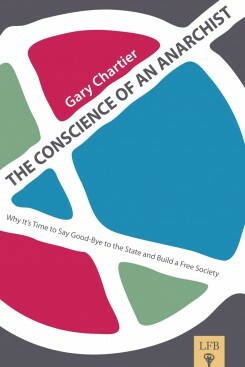 Even in the case of production for the cash nexus, in a genuinely free society without artificial property rights, artificial scarcities, monopolies and other privileges enforced by the state, we can expect cooperative and self-managed forms of production to be much more common than at present, and to take place in an atmosphere where most workers have the option to retire on the commons for some time and refuse work offers not to their liking (as did English peasants before Enclosure, who could take agricultural wage labor or leave it and subsist on the commons). Also, it’s important to remember that money exchange will take place in a context where banks no longer have a state-granted monopoly on the issue of credit and the medium of exchange. 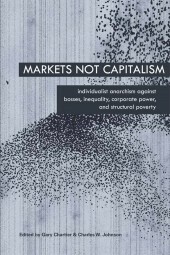 Market anarchists, like all anarchists, start from the assumption of ordinary people encountering each other as equals, and deciding without coercion how best to work together to meet their mutual needs. This may be by exchanging the products of their labor, by producing cooperatively or by sharing. The main thing, as anarchist David Graeber has argued, is that whatever forms of organization emerge will do so through an open-ended process of interaction among equals, in which no party can call on armed force to compel others to obey their will.